While it is exciting to see how the completion of the airport Berlin-Schönefeld is taking place, there is progress on the re-use of Tegel Airport. Although Tegel is to remain in operation, until Schönefeld opens up. 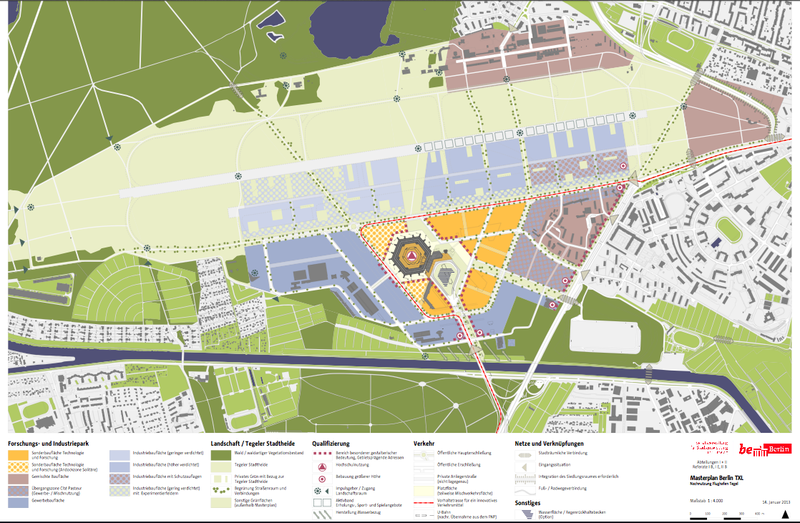 The Berlin Senate has now approved the concept for the re-use of Tegel Airport TXL in the form of the master plan. There should be a technology park be established, the place offers space for the research and development of new technologies in tomorrow’s cities. The term “Urban Technologies” covers topics such as mobility, energy, urban supply and protection of resources. The Berlin Senate Department for Urban Development has produced a master plan based on a five-year process. 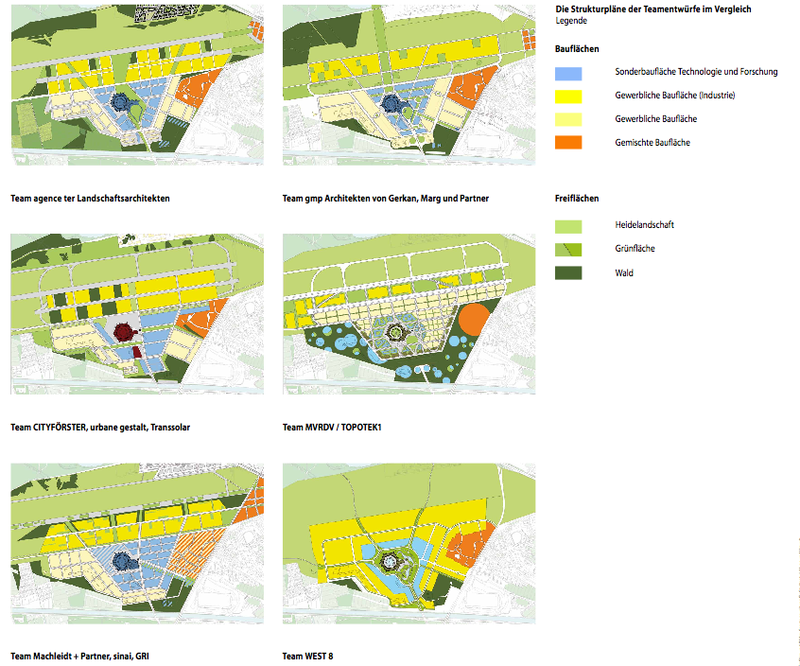 This included a collaborative workshop process with the participation of Berlin residents and of six planning teams. The agencies involved were agence ter, Cityförster, Transsolar, MVRDV with Topotek 1, Machleid und Partner, West 8 and gmp the originators of the airport architecture.